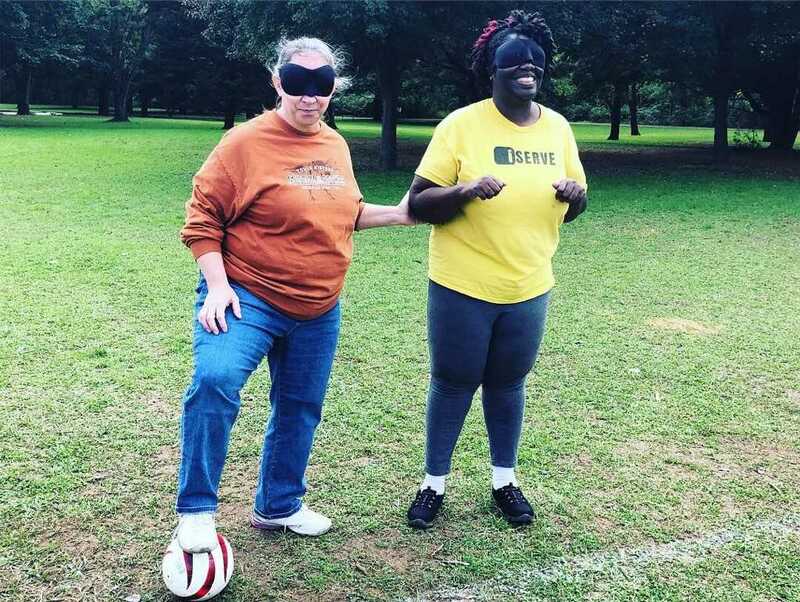 Football for the blind started out as a playground game for individuals in schools for the visually impaired. It has now become one of the most popular sports for people with a visual impairment worldwide. A few countries, such as Spain and Brazil, set up national championships. Soon after countries began to organize the first friendly international matches. Blind football has become one of the biggest sports on the Paralympic Games, following its debut at Athens 2004. This sport was recognized at the London 2012 Paralympic Games when the number of teams taking part was increased from six to eight. Blind football was one of the most popular sports at the 2016 Paralympic Games in Rio de Janeiro, where hosts Brazil won gold for the fourth time. At the Tokyo 2020 Paralympic Games eight teams will compete for the title. 5-A-Side Football (Soccer) is a five player game with four B-1 athletes and a sighted goalie. The game lasts 50 minutes. The B-1 athletes are all blindfolded to make an even playing field. They play with a soccer ball with bells enclosed the ball, so the athletes can hear it throughout the turf field. Communication between teammates and opponents is key. The game is modified for the visually impaired athletes. The coaches, goalies, and another sighted person is behind the goal helping to direct the athletes. To learn more about the game click the contact button. We need more visually impaired and sighted athletes! If interested please click on the athlete sign up button to register. We currently need funding to create a professional field. We are looking to play on a regulation turf field with correct borders to play at a Paralympic level. Funding is needed so if you feel called to donate feel free to click the donate button. Our end goal is to have enough B-1 athletes to create a team looking to head to the Paralympic's in 2028. We are working to create more teams in the U.S.A. to get to the Paralympics in 20208. Help us achieve that goal! We are willing to help grow more teams.